I have a thing for folk with ginger hair. their pale peachy skin, rosey pink cheeks and firey locks. their dramatic ways. 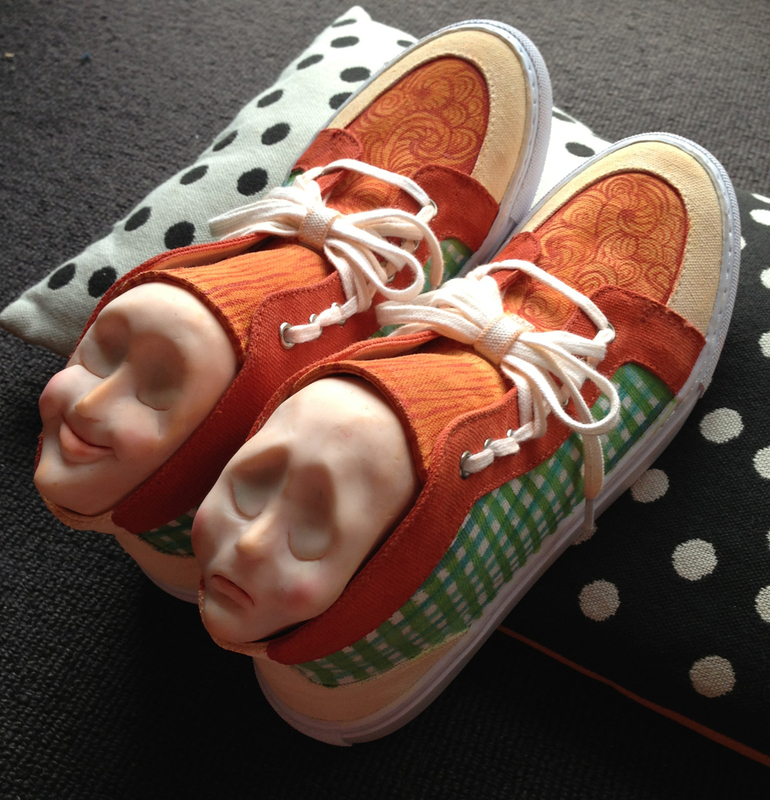 When I was asked by Gorman to customise these sneakers I decided to anthropomorphise them into two redheads, one happy and one a bit miserable. their hair piled up into operatic tressed bundles, held in place by the laces. Custom designed sneakers for Gorman. 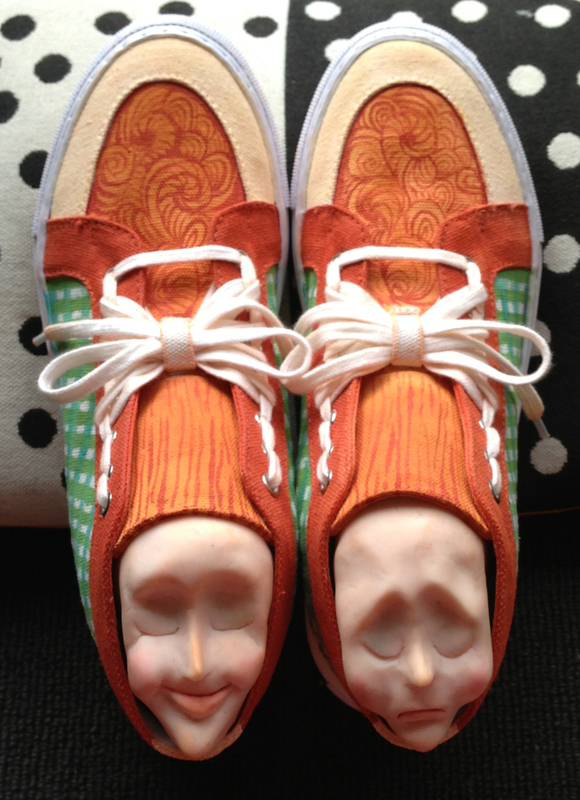 these sneakers are anthropomorphised into two redheads, one happy and one a bit miserable. their hair piled up into operatic tressed bundles, held in place by the laces.